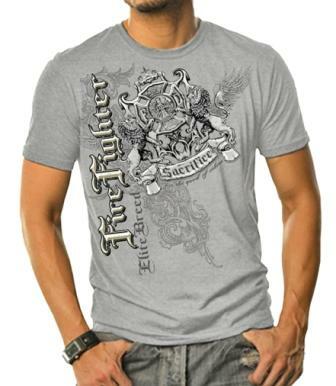 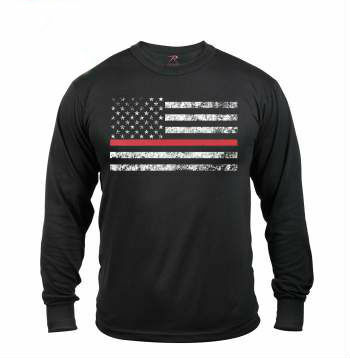 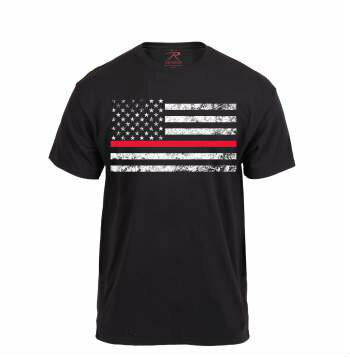 Two-sided, 100% cotton, pre-shrunk shirt. 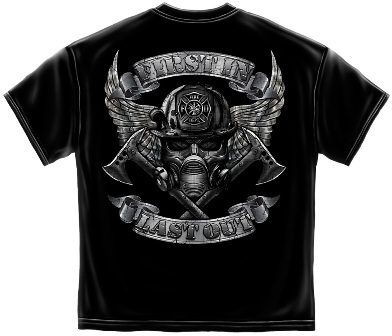 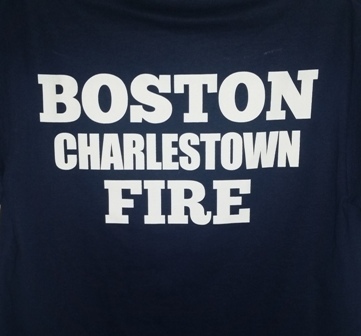 Navy blue Gildan ultra cotton. 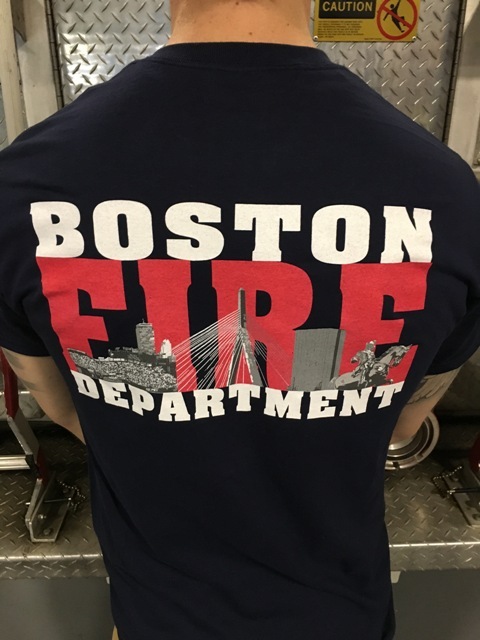 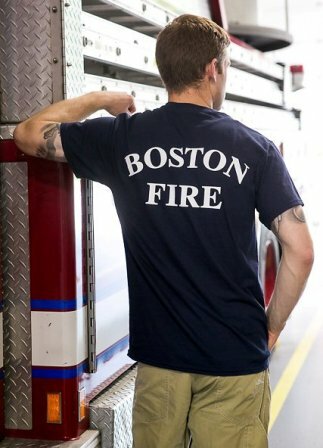 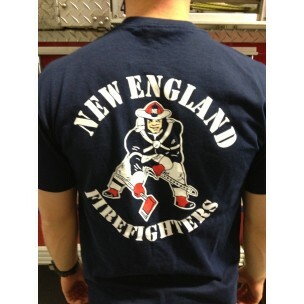 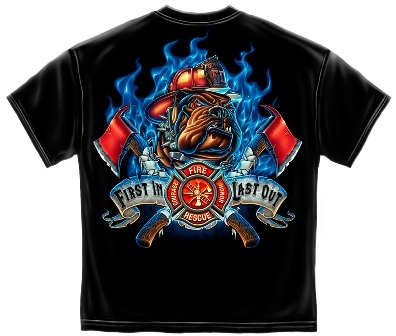 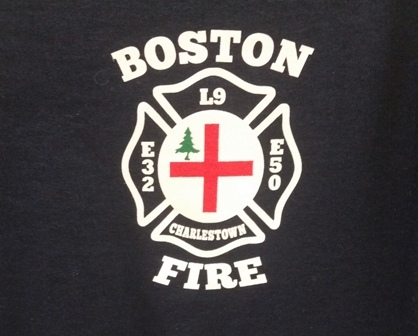 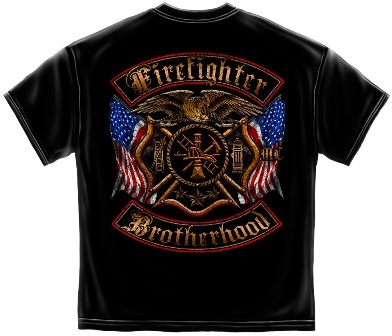 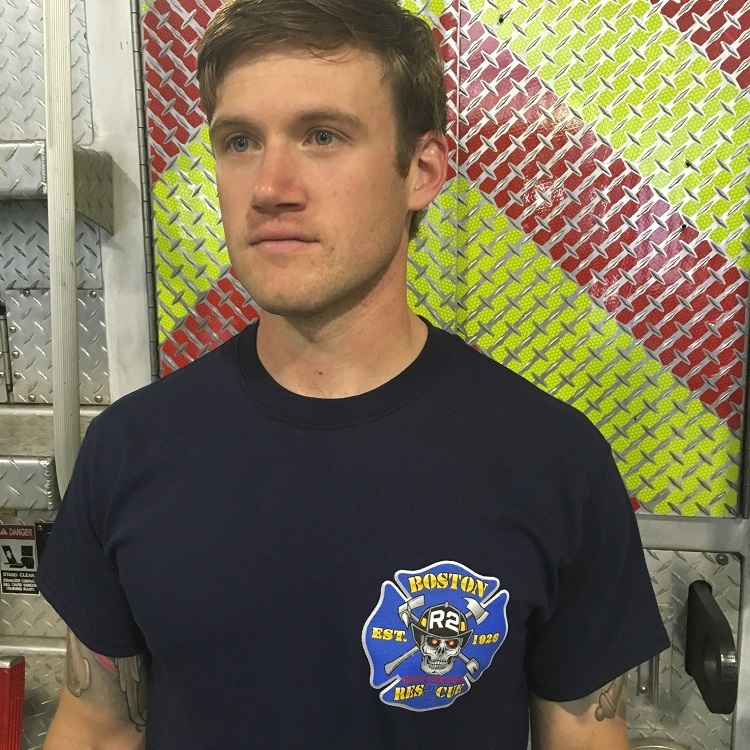 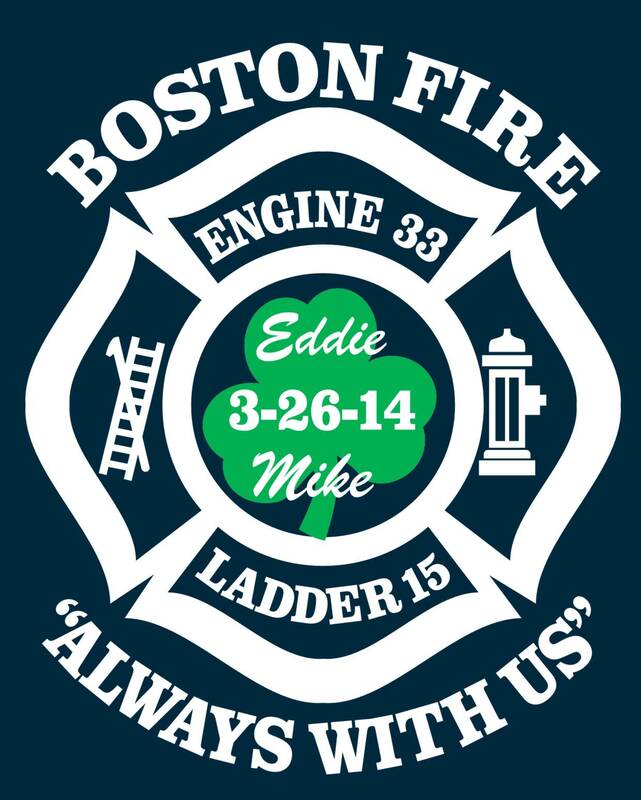 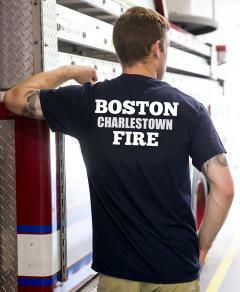 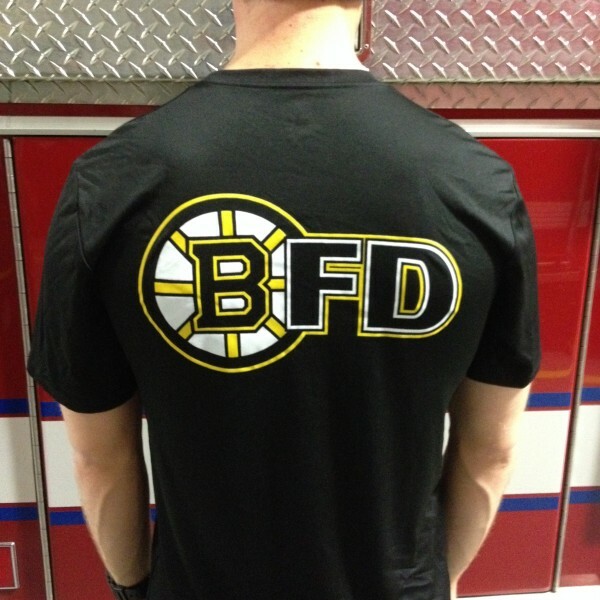 Maltese Cross on the front, Boston Fire Charlestown on the back.